The Fort Report is back for another year! Every Monday during spring training, we will be detailing all the Red Sox minor league news and notes from the week that was down in Fort Myers. The Red Sox made a last-minute addition just before the start of spring training, adding right-handed reliever Carlos Marmol on a minor league deal with an invitation to major league camp. With a surprising amount of free agents still looking for jobs, Marmol may not be the final signing by the Sox, who reportedly may still be interested in signing left-handed relievers. Back in September, the Red Sox promoted scout/analyst and ex-major league pitcher Brian Bannister to the newly created position of director of pitching analysis and development. While it is not a standard title, Bannister will help coaches and coordinators throughout the organization as well as assist with scouting and analytics. Alex Speier of the Boston Globe looked at how Bannister got to where he is and also how he was able to help an under the radar signing last season, lefty Rich Hill. Part of the reason the Red Sox signed Marmol was Bannister's belief that returning to his lower arm slot could lead to a return to his previous success, as Brian MacPherson of the Providence Journal notes. Identifying these potential low-cost, high-reward players is one area the Red Sox believe Bannister will be able to help. Prospect ranking lists continued to come out in droves this month. Before diving into those, you probably should refamiliarize yourself with the best Red Sox prospect rankings out there, ours at SoxProspects.com. We go deeper than any other outlet and the top 20 can be found here and 21-60 can be found here. ESPN's Keith Law was very busy to start the month. He started by releasing his rankings of all 30 farm systems in the game. The Red Sox came in at tenth on his list, down five spots from his 2015 ranking after the departure of four players in the Craig Kimbrel deal, as well as the graduations of Blake Swihart (#1 ranked prospect going into 2015), Henry Owens (3), Eduardo Rodriquez (6), Matt Barnes (8) and Travis Shaw (17). Baseball America also released its farm system rankings and the Red Sox fared better, coming in at fifth overall. This marks the fourth straight year the Red Sox have finished in the top six in BA's rankings, topping out at number two before the 2014 season. Law also released his top 100 prospects as well, and similar to other rankings, the Red Sox landed four on his list, all coming in the top 50. 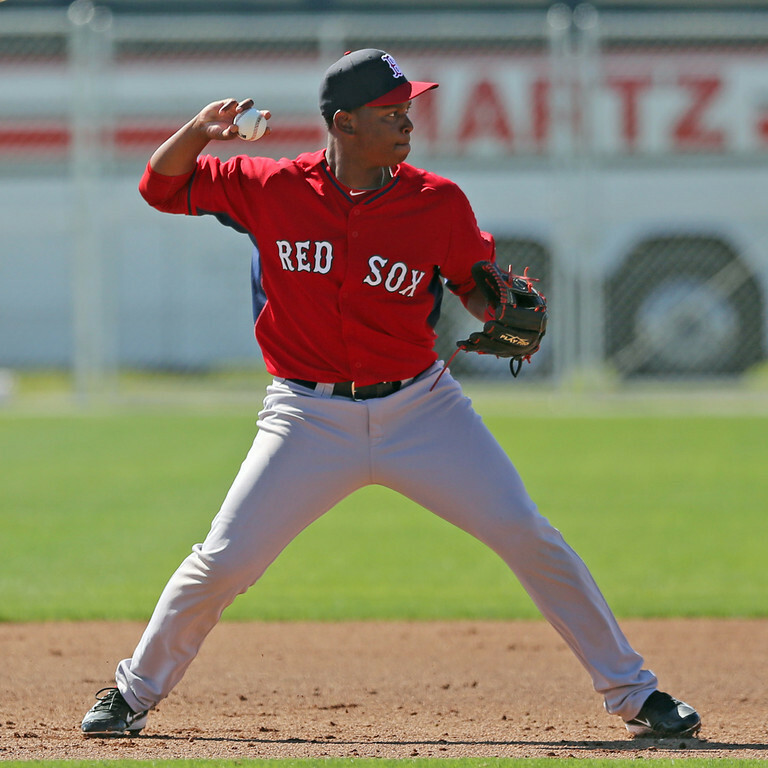 He had Rafael Devers (pictured, above) as the top Red Sox at number seven followed by Yoan Moncada (17), Andrew Benintendi (18), and Anderson Espinoza (38). Not to be outdone, Baseball America also came out with their top 100 prospects list this month as well. They had the four listed by Law in a different order with it going Moncada-Benintendi-Devers-Espinoza and they also included Michael Kopech who came in at 89.
, who landed at 10th on Law's rankings. 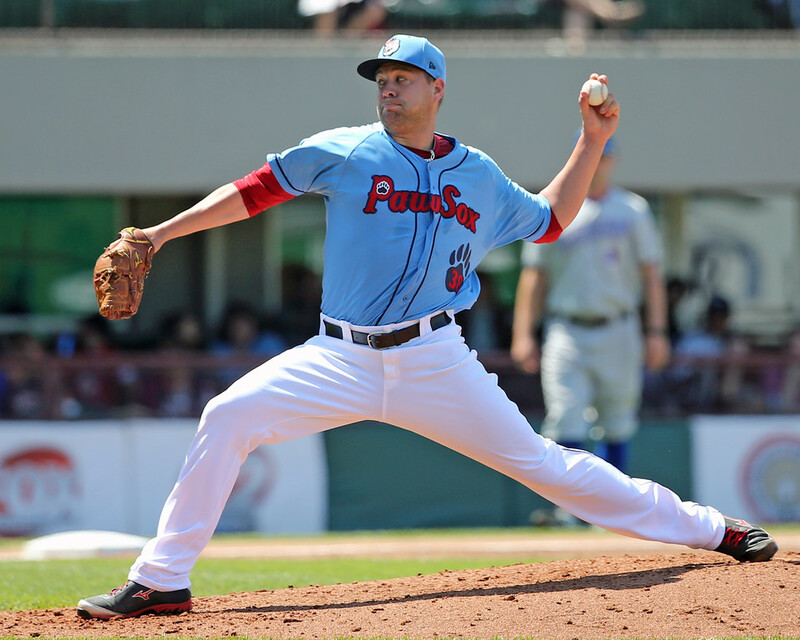 Lakins ranks 23rd on the SoxProspects.com rankings, but in the one look assistant director of scouting Chaz Fiorino got this past September, he saw some things to get excited about, including the potential for three above-average pitches. Last for Law, he also ranked his top 10 by position, listing five Red Sox. Both Moncada and Devers topped the list at their positions while Sam Travis came in sixth for first basemen, Benintendi fourth for outfielders, and Espinoza 12th among starting pitchers. Moncada was a highly rated prospect the instant he signed with the Red Sox last winter. He stated his goal was to make it to the majors within a year, but after his first professional season, the reality of the developmental process has set in, as MacPherson writes for the ProJo. Rodriguez has graduated from our rankings after throwing 121 2/3 innings for the major league team last year. With that strong foundation, there are still many areas he can work on to reach his full potential. The Providence Journal's Tim Britton writes about some potential areas for improvement, and our own Chaz Fiorino also weighed in on Twitter about what developments he thinks could unlock Rodriguez's ace potential. Another way the Red Sox hope to help Rodriquez's development is simply by having him work with ace David Price. ESPN's Rick Weber notes that Price has already started to take the eager-to-learn left-hander under his wing. Owens has come to camp feeling stronger and better prepared as he continues his professional development. Despite being listed among the Triple-A starters on the SoxProspects.com projected rosters, Owens still has his eye set on the major league rotation, as Jason Mastrodonato writes for the Boston Herald. Likewise, we currently project catcher Christian Vazquez to begin the year at Triple-A as he works his way back from Tommy John surgery. There was a brief moment of panic earlier this month when he felt discomfort in his right elbow, but as WEEI.com's Rob Bradford notes, he is relieved to find out that it is just scar tissue. As part of their Roster Recap series, BP Boston's Chris Teeter took a look at the slow and steady progress of lefty Brian Johnson (pictured, left), who is currently ranked sixth in the SoxProspects.com rankings and expected to begin the year in Triple-A. In the same series, Bryan Grosnick looked at the fast rise of Moncada, and Matt Collins looked at Benintendi's great start. FanGraphs is known for their analytical approach to baseball. They applied this approach to ranking the top farm systems by calculating the Wins Above Replacement (WAR) grade for each prospect based on the 20-80 scouting grade put on the player by Baseball America and totaling the scores per team. The Red Sox are one of only two teams with two grade-70 prospects (Moncada and Espinoza) and that helped propel them to the top spot on this ranking. Apparently Mookie Betts isn't good at everything, as he caused something of a stir after driving his golf cart into a lake earlier this month. Yes, you read that correctly. It actually slowly rolled into the lake after the break did not engage as he thought it would. Thankfully the star outfielder and his golfing teammates were all unharmed. Photo Credit: Rafael Devers & Brian Johnson by Kelly O'Connor.